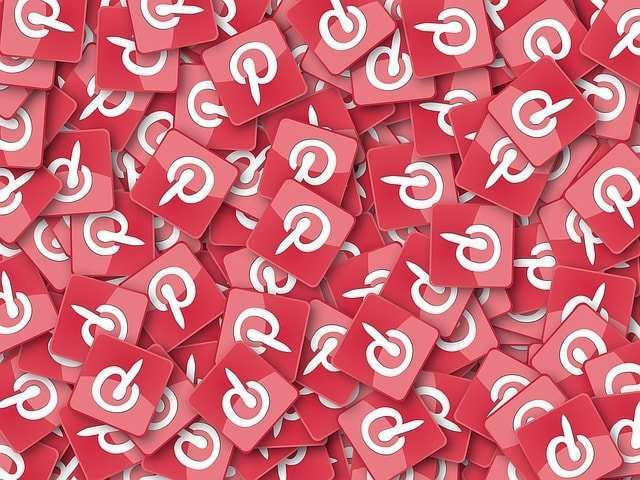 Like all other social platforms, Pinterest also offers great marketing opportunities; you just need to be aware of these opportunities and the way you can grab them to the best. Here, in this write-up, we are going to tell you some effective tricks by which you can achieve a great SEO success. When you create content, it is not only about making it engaging; instead, you need to create it from an SEO point of view. This approach will let you stay ahead of your competitor on Pinterest. No doubt it is just a visual platform but still, the text plays an important role. Most of the people are using Pinterest as a search engine; so, you must also treat it as a visual search engine if you want your content to work best. What you need to do is creating the Pinterest content (both images and text) while keeping in mind your ideal customers. Choosing a relevant business name for your Pinterest profile is much important if you want to use it for SEO. So, you need to do some research and find a name that would be related to your business, easy to spell and something memorable. For an instance, in the name “LakmeMakeup”, Lakme is used for the SEO purposes, while Makeup is used to let the visitors know what they are going to get there. You must have seen that the Pinterest posts are full of colorful and high-quality images. So, you need to do something different to make yours stand out. You must be thinking that how? Well, let’s remind you that the size of an image matters a lot. Pinterest automatically scales the images for width, but you have the option of choosing the height yourself. You can consider increasing the height of the images as vertical images are known for performing better. However, though it is recommended to increase the image size, make sure you don’t overextend them. Though images are the most important component of the Pinterest pin, the descriptions have their own role to play. A description lets the readers know what the pin is all about and it invites them to click on it. So, try to make the description engaging and appealing one. Furthermore, you can use the descriptions to include the desired keywords. In general, the type of content and the target audience decides the description length, still, you should try to keep it between 150-300 words. Calls-to-action (CTA) are equally important on Pinterest as they are on the other platforms. Adding an appealing CTA in the pin description will not only let the users know what you want from them but will invite them for taking an action. CTAs give special direction to the users for their next click and increase the chances that they will make the desired action. The amount of content you post on the Pinterest matters a lot for the success of your business. It is recommended to pin at least five times a day but it does not mean that you should upload all these pins at the same time; instead, you need to upload the pins across the day leaving a time-gap between them. Spacing out your Pinterest pins is the best way of reaching out the maximum customers. Furthermore, afternoon and evening are considered as the best times for enhanced pin engagement. In addition to these, you must do some research that when the maximum of your audience is online and should pin accordingly. It is really crucial to know that how engaging your Pinterest pins are. Pinning your content and repinning others’ is just one thing; what you need to do is interacting with those who repin, like, comment or make any action on your content. In short, you must offer enhanced engagement to those who are already interacting with you. What you can do is like and repin their content or can ask if they need any favor from your side. You can also invite them to pin to your group boards and more. Also, have an eye on which of your pins are doing good and the reason behind their success. Another effective strategy for making your Pinterest pins work for SEO is choosing the right names for the images you are using. If you are thinking that Google is not able to read the images, let’s remind you that it can read the image titles. So, it would do a benefit if you name the images with keywords. It would definitely help to improve your search engine rankings. As the name depicts, it is a board that you open with one or more pinners to allow them pinning to the board with you. Guest boards can do a lot for your business as they give you an opportunity to get pins from the influencers. Along with bringing new content to your website, it also adds to the expertise of the influencers. Also, it works to show your content in the feeds of the influencers and thus, let you connect with the new audience. Keywords determine the ranking of the content; they are equally important on Pinterest as that of Google. So, you must include the keywords everywhere you can without overdoing. Every Pinterest description (whether it is on your board, pins or profile) should have at least one keyword. Keywords included at the right places increase your chances of reaching the right audience. No matter whether you are trying to make your Pinterest images outstanding or want to enhance engagement with your audience, these 10 tips will definitely help you get great SEO success. I am Gurpreet Singh, CEO at Suffescom Solutions. I love to write in free time and my write-ups are generally about the latest technology. Actually, I write something new and valuable that provide specific information to the readers. Playing Chess is my hobby that I pursue in my spare time.